Rome (AFP) - Italy's anti-establishment Five Star Movement voted Monday against possibly putting Interior Minister Matteo Salvini on trial for alleged kidnapping after he refused to let migrants disembark from a rescue ship. 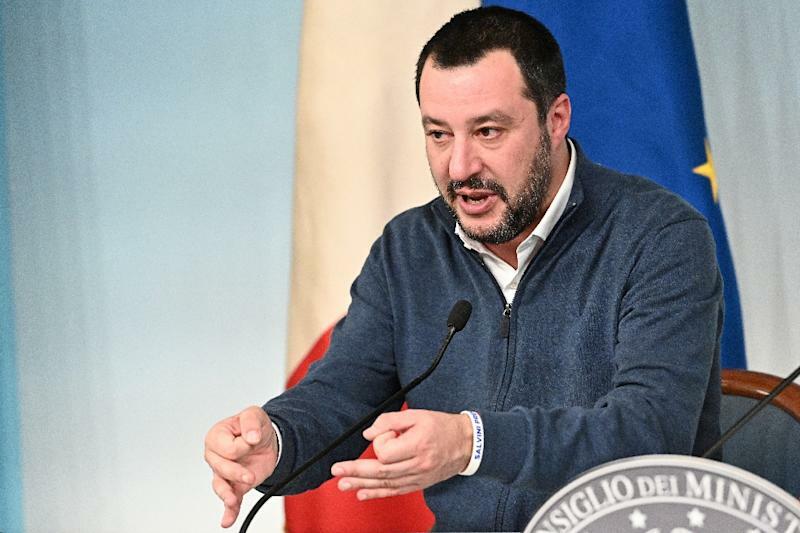 Prosecutors in southern Italy want to continue an investigation into Salvini, head of the far-right League party, for alleged abuse of power as well as kidnapping following his decision to hold migrants at sea last year. The Five Star Movement (M5S) and League have been governing in a populist coalition since June but frequently clash over key electoral pledges, with political watchers warning the partnership risks collapse. The vote was conducted online, allowing M5S members to say whether they think Salvini should be stripped of parliamentary protection, paving the way for a possible trial. Nearly 60 percent voted in Salvini's favour. 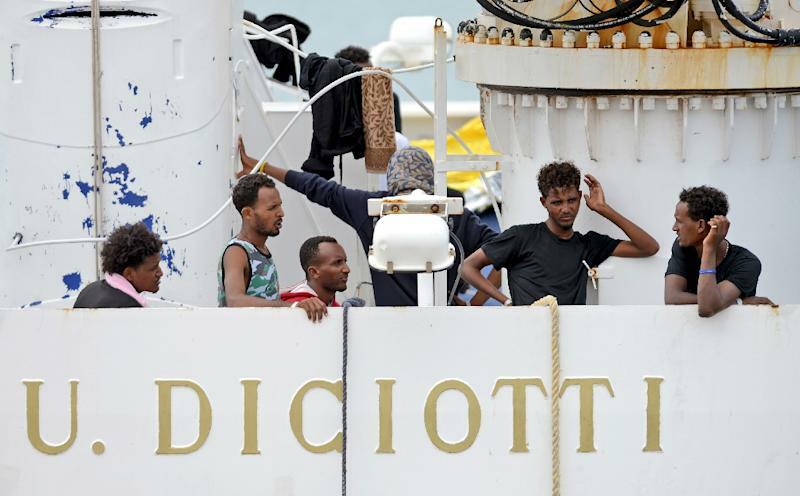 The charges relate to the rescue in August of 190 people by Italy's Diciotti coast guard ship, who were left stuck at sea for five days without permission to dock. Thirteen migrants with health problems were disembarked on Lampedusa island in Italy's southern tip. The ship then headed to Catania in Sicily, but was blocked for another five days before the remaining 177 migrants were allowed off. The permission came only once the interior minister had been assured other European countries would take them in. The final word on whether Salvini can keep his protection lies with parliament. A Senate committee is scheduled to discuss the matter on Tuesday, after which the Senate will vote -- with M5S senators taking the lead from the result of the online poll. In a bid to stave off a political tsunami, both Prime Minister Giuseppe Conte, an M5S sympathiser, and the movement's leader Luigi Di Maio have said Salvini was acting with their full support and would stand trial alongside him. The M5S official blog told members this case was "different" from those where ministers had tried to get away with "bribes, fraud or rigging the markets", because Salvini was doing his job and "not acting for personal interest". Salvini, whose League party has soared ahead of the M5S in popularity in the polls, said Sunday he was not worried about the vote because he had "given (his) word" that the government would not fall.